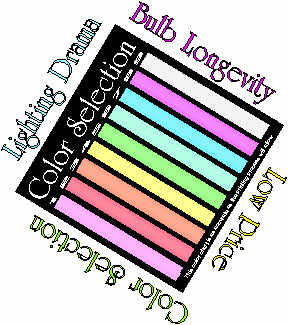 Imagine a light fixture that can illuminate the circumference of a tree completely, in a floating ring of radiant color, with a bulb life measured in years not months rated at 34 watts. 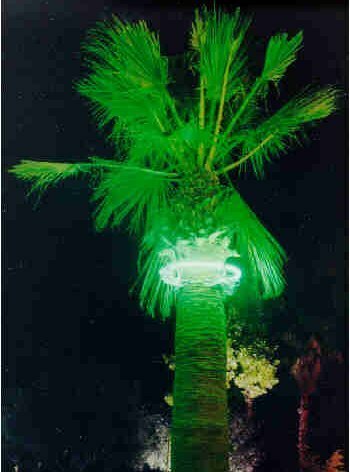 Imagine illumination brilliance, that goes beyond traditional landscape lighting by creating drama and allure on any size or shape palm tree, with an optional reflective coating for up or down lighting. 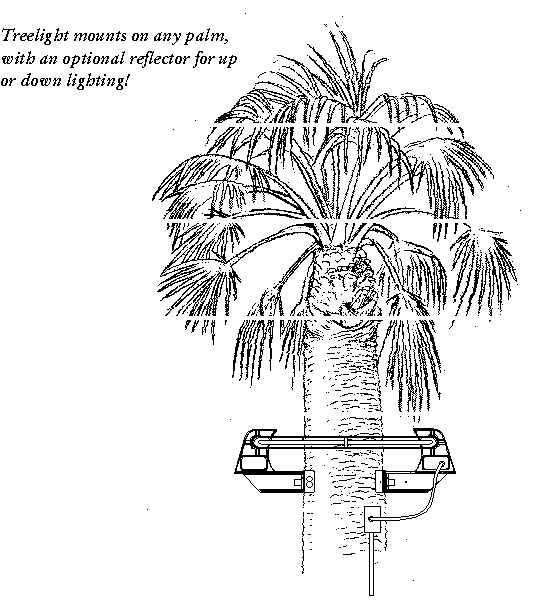 The Patented Treelight Neptune is designed to adjust to your trees diameter. The 120 VAC fixture is compatible with almost all US power systems. The clear bulb housing protects the gas tube from frond fall and the weather, so you won't have to worry about breakage. 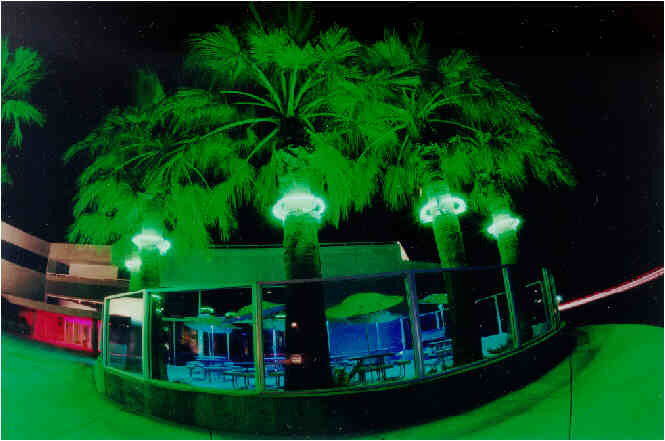 Order your Treelight Neptune Fixture today, and see why architects and landscape designers everywhere are choosing Treelight. Click here for a mounting diagram. HTML by Sam Kang of SimplisticDesigns. View other works here.